Attack of the baby tomatoes! Like those dishes? Want to take bets on whether they will still be there when I get home? So yeah, um it’s not usually so cluttered. 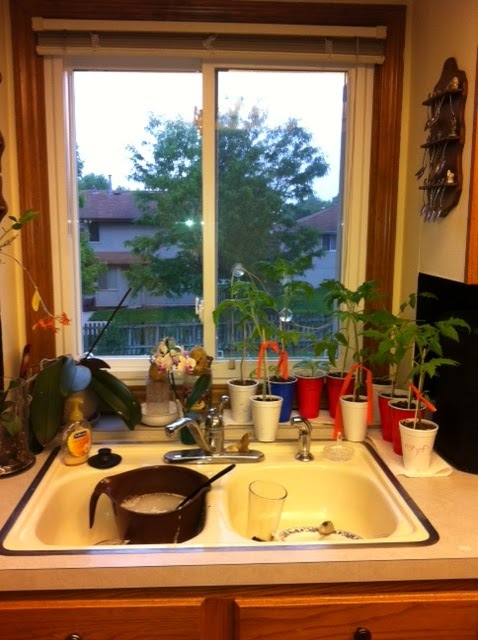 I have the nine tomatoes, 1 cubanelle pepper, 2 sweet potatoes growing slips, 3 potted orchids and 1 hanging orchid. And a bunch of dirty pancake dishes. I had to snap this in a hurry because I had to get to work. Next time I’ll scrub for you. Maybe. Meh, we’ll see. I checked the weather forecast and it looks like the lows will be warm enough all week long that I feel confident putting them out. I think they will get a good enough head start that if it does get chilly I can cover them. Now where to put them? 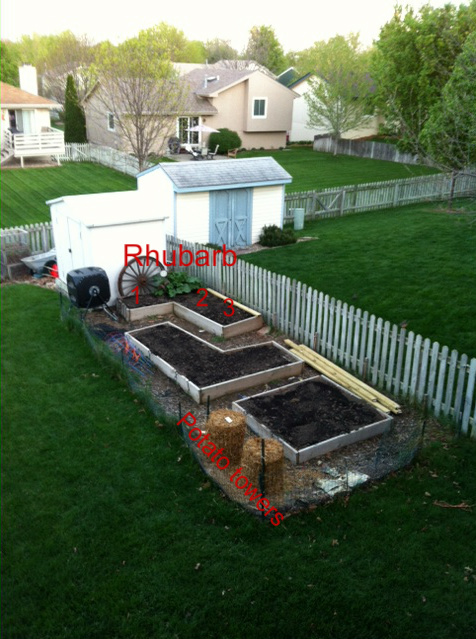 I have had some blight issues the last two years so my raised bed space is limited. The only bed left has a big ol’ clump of rhubarb in it and it’s backed up to the fence so I can’t get to the back side easily. That and I think I can only fit 3 in there. I think I’ll put my cherry tomato in a pot on the deck, so that’s 4. I’m giving 2 to my mother in law, so that’s 6. That leaves me with three more. 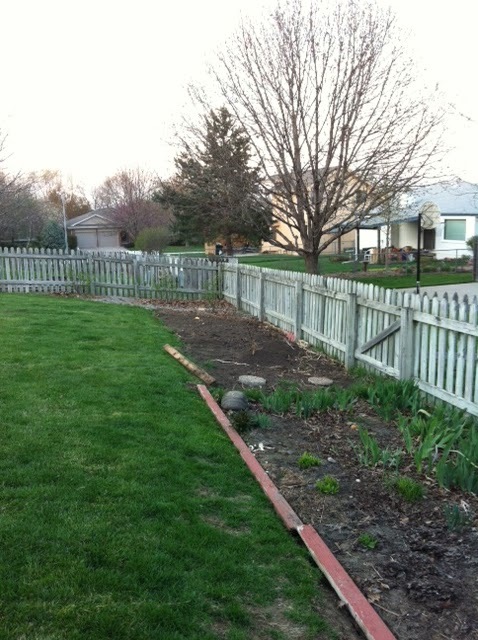 I have a long bed on the back fence that has some perennial flowers in it. I doubled it’s length this year, so it has plenty of room for the tomatoes. Ignore the junk wood. I have no excuse. Well, yes I do, but it’s a long story. The real question is, do I really need that many tomato plants? No. Do I want them, oh yes! I have a sickness, I am addicted to tomatoes. I like to eat them right in the garden with a sprinkle of salt. I figure I can throw the last three back there and experiment with staking. I usually use plain old cages. I have been intrigued by teepees and have thought about just letting them sprawl. I am a negligent gardener at best so the sprawling really appeals to me. I guess we will just have to see how it goes. I’m sure I’ll change my mind as I’m planting them. I’m a Gemini, it’s what I do!